This is the second post in a three-part series on how the Internet of Things is impacting transportation. Passenger rail traffic globally is expected to double by 2020, posing a challenge for train operators and commuters alike. How can these operators, who work with complex and often aging infrastructure and technology, adapt to rapidly evolving industry dynamics? It’s easier than you think. With IoT sensors and advanced analytics, the rail industry can evolve without substantial infrastructure investments — providing riders with a superior commute in the process. Everyone has a story about how a broken down train ruined their day. But with recent advancements in maintenance, improving the reliability of even the oldest trains is possible. Trains themselves have become device-laden, with sensors on critical parts such as brakes, wheels and engines. Tracks are also benefitting from IoT; some train networks have thousands of sensors deployed across their systems, measuring track stress and condition, air and track temperatures and other variables that have predictive value to maintenance teams. One of IBM’s more advanced rail clients, a large train network in Northern Europe, has deployed a solution that not only deploys sensors to monitor the health of its trains, but also uses Watson’s video analysis capabilities to spot issues on trains and tracks. This helps maintenance crews focus on more efficient repairs, providing a safer and more reliable experience for riders. By tracking trains across networks using geolocation and processing this data using analytics, train operators can more efficiently operate trains. Some operators are also using IoT to measure people flow — such as passengers waiting at stations, passengers in each train car, and more. Analytics can then provide operators with guidance on how to optimize schedules to rider demand such as deploying a second train to an overcrowded station, how to improve the comfort of rides and much more. Weather data plays a big part in train operations as well. Not only can weather have a significant impact on a train’s condition, in can severely impact operations more generally, as anyone waiting for a train in a snowstorm can attest. Advanced train operators are now incorporating predictive weather modeling into their operations to prepare for and prevent service interruptions. As consumers adapt to the digitization of retail, the rail industry is also evolving to meet rider expectations for new and better services. Many train operators, for example, are now offering scheduling information, ticketing and other services through mobile devices. But IoT takes this evolution a step further by allowing operators to know each individual rider. How could you price services differently if you understood how frequently or how far each passenger rides? How could the rail industry cultivate loyalty, using IoT to learn about clients’ actual experience history, similar to the retail industry? Expect your interaction with trains to change dramatically, as operators use cell phones and sensors to learn about your usage and provide new services to improve your commuting experience. Taiwan’s High Speed Rail System is a fully electrified railway that enables passengers to make the 214 mile trip from Taipei in the north to Kaohsiung in the south in just 90 minutes, a stretch requiring 4.5 hours by traditional modes of transport. With maximum train speeds approaching 190 miles per hour, high-speed rail raises maintenance requirements to a new level due to the extraordinary stresses on tracks, brakes, wheels and more. As part of a $15 billion project to create this network, the Taiwan High Speed Rail Corporation built an advanced system capable of automatically triggering maintenance activities by detecting potential problems in the network and — through automated alarms — addressing the problem before it becomes a risk to passenger safety. Monitoring and telemetry systems track and report the condition of over 320,000 assets, such as trains and tracks. As a result, 99.15 percent of train arrivals and departures to within six seconds of the schedule time, and ridership has grown rapidly. Stories like this highlight how the Internet of Things will transform the rail industry with broad benefits to us all, such as reducing congestion, improving mobility, reducing the environmental impact of transportation, and providing economic benefits for riders and operators. Read the Taiwan High Speed Rail case study to learn more about how the rail industry is changing as a result of the Internet of Things. This is the second post in a three-part series on how the Internet of Things is impacting transportation. 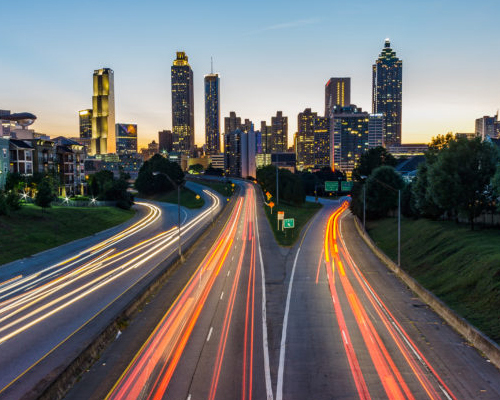 Read part 1 to learn how IoT is transforming roads and your daily commute.